Caboose 1204 at Cheyenne, Wyoming on July 21, 1979. 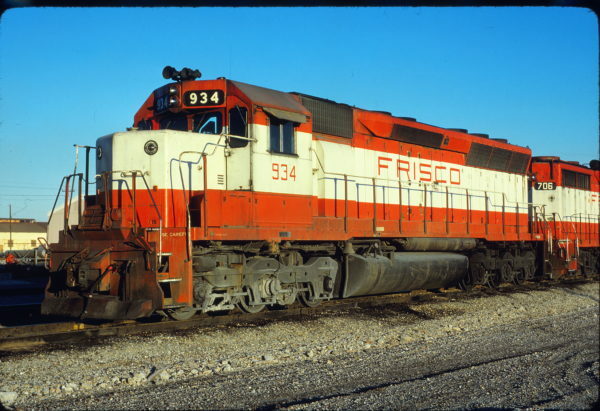 SD45 934 at Tulsa, Oklahoma on November 29, 1980 (David Stray). 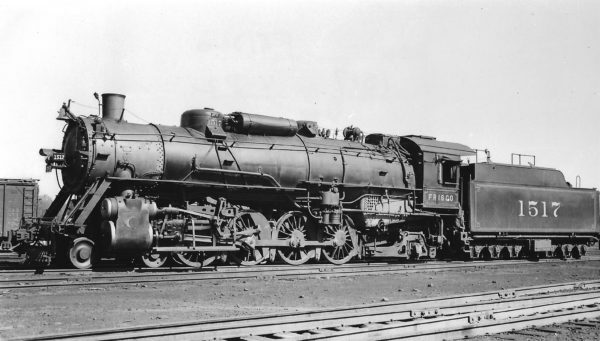 4-8-2 1517 at St. Louis, Missouri on October 2, 1938 (Arthur B. Johnson). 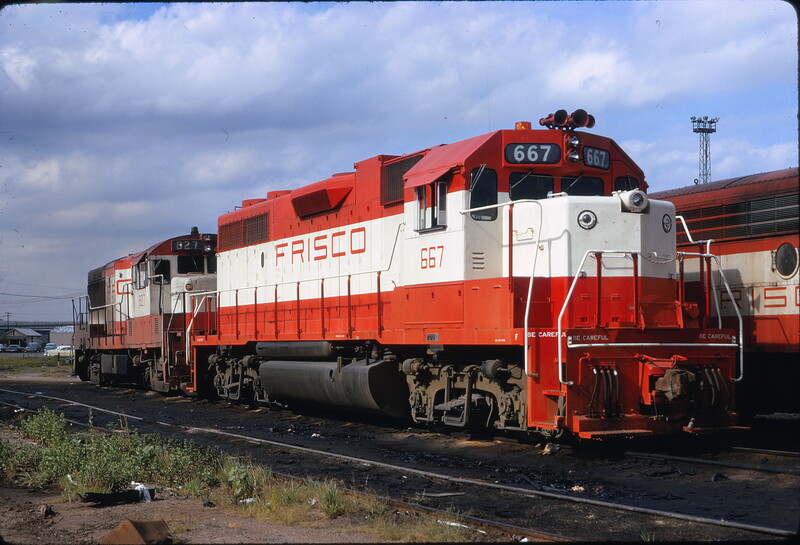 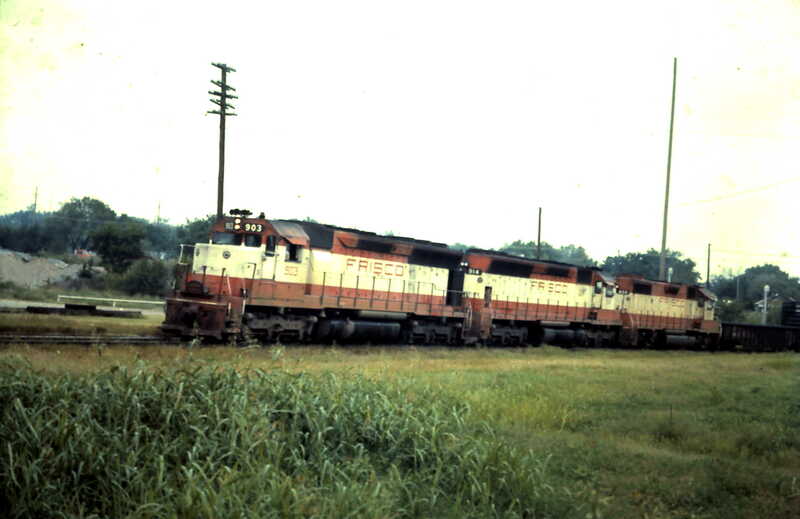 GP38-2 667 and U25B 827 at Tulsa, Oklahoma on July 13, 1972 (James Claflin). 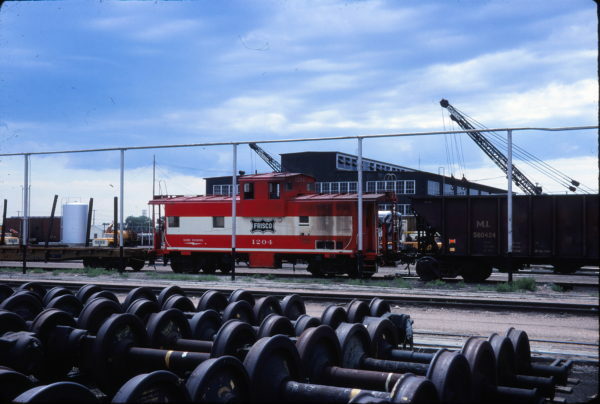 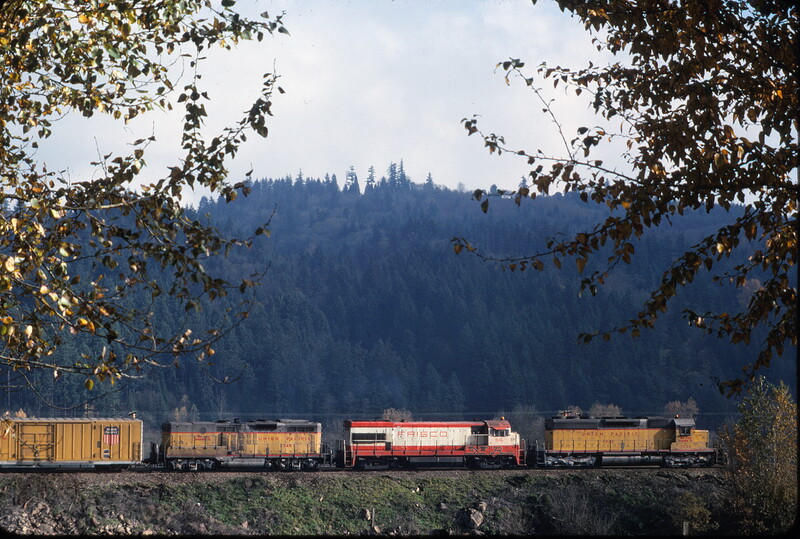 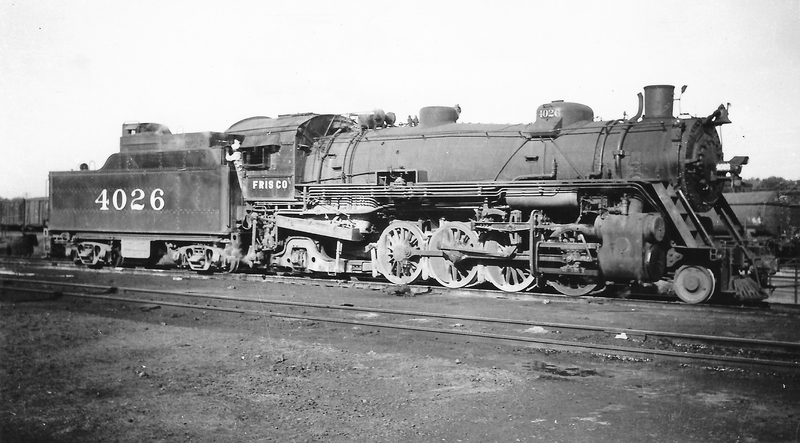 SD45s 903 and 914 (date and location unknown). 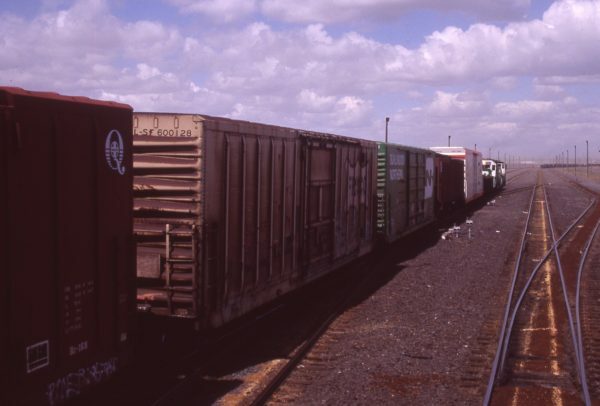 Boxcar 600128 at Pasco, Washington on May 3, 1997 (R.R. Taylor). 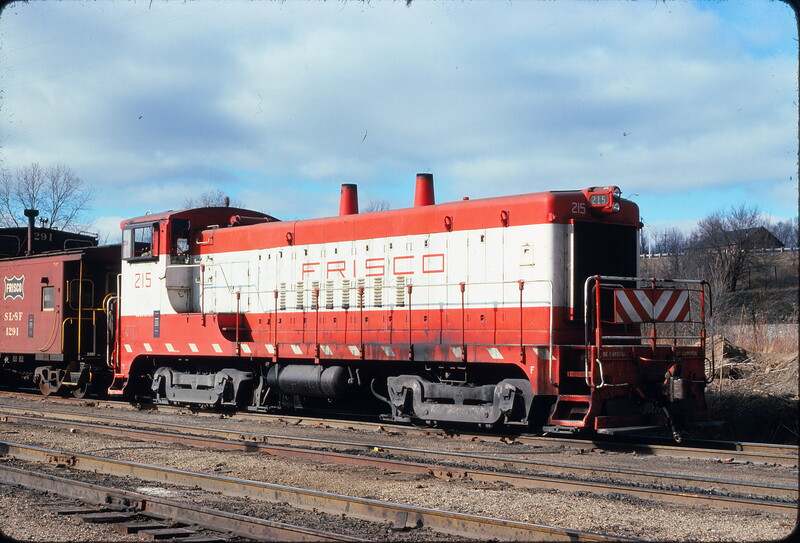 VO-1000m 215 at Kansas City, Kansas on December 20, 1975 (George Menge).